Non-Invasive Breast Cancer Treatment is Now Available Close-to Home in Willmar, MN. 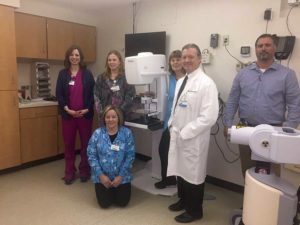 Carris Health in Willmar, MN, is the latest site to offer the non-invasive breast cancer treatment, AccuBoost, to patients in West Central – Southwest Minnesota. The effort at this site is led by Dr. Tod Speer. Learn more about the non-invasive breast cancer radiation treatment here. AccuBoost is best suited for women with stage 1 breast cancer and stage 2 breast cancer. Speak with Dr. Speer to see if you are a candidate for AccuBoost.